Katharine Drexel was born in Philadelphia, Pennsylvania, on November 26, 1858. During a trip to Europe in 1887, Katharine met Pope Leo XIII and asked him if he knew of a religious order that could work in the institutions she funded and he recommended she establish her own missionary group. Together with some Sisters of Mercy, Katharine founded the Blessed Sacrament for Indians and Colored People. They opened and funded schools on reservations, in southwestern United State and New Orleans. Katharine Drexel was canonized by Pope John Paul II in 2000. 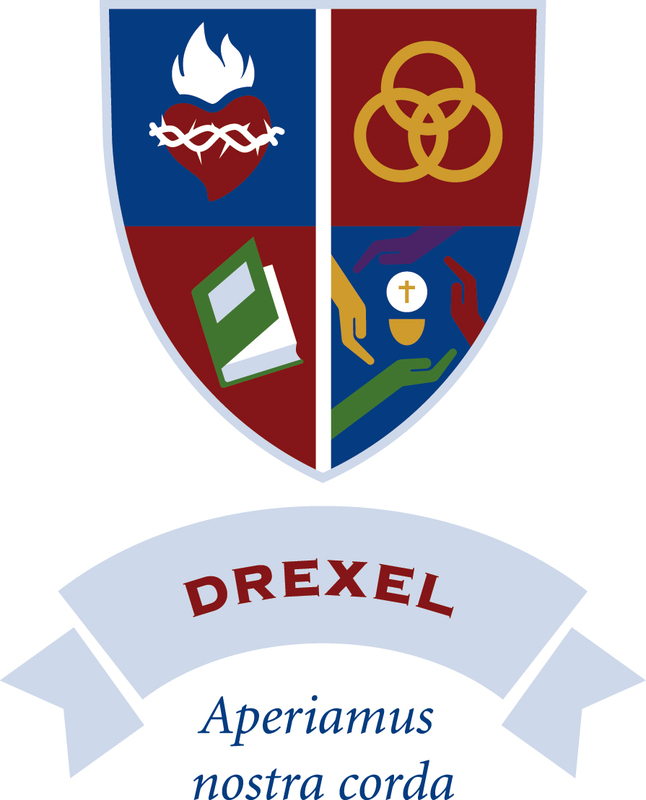 The Drexel House motto is “Let us open wide our hearts” which is a quote from Saint Katharine Drexel which is represented by the symbol of the heart – specifically the Sacred Heart to also represent our school’s patroness, Rose Philippine Duchesne. The Drexel slogan is “The strength of the pack is the wolf; the strength of the wolf is the pack”. We chose the 3 rings, united to represent the unity of our wolf pack. St. Katharine Drexel is known for many works of charity but is especially remembered for founding many schools for the poor and other outcast groups who were not being educated by the regular system. The book represents her dedication to education. Finally, the hands around the chalice is the symbol of the religious order founded by Katharine Drexel, the Sisters of the Blessed Sacrament. In our crest, we made these hands each a color of one the houses at Duchesne to represent all four houses working together, centered on Christ.